Since 1994, Knox Roofing has been providing roofing services to clients in Scotts Valley, Santa Cruz and surrounding areas. Whether you need roof repairs or re-roofing, you can count on us. At Knox Roofing, we offer roofing services to both residential and commercial clients. We specialize in residential roofing. We pride ourselves in integrity, honesty and hard work. From roof replacements to restoration, we have got you covered. We also offer 24/7 emergency roofing services for your convenience. 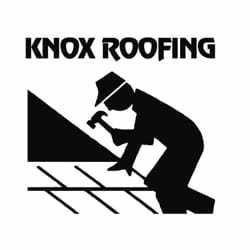 At Knox Roofing, we only use top-quality products available in the market. Our goal is to exceed customer expectations and offer the best possible experience for our valued customers. Call us at (831) 325-2643 for more information about us. The Owens Corning Corporation Awarded "Preferred Contractor"
The CertainTeed Corporation Advisory Board Awarded "Master Applicator "and "Select Roofer"
For More Information About Our Services, Call Us at (831) 325-2643. Copyright © 2018 knoxroofing.biz All rights reserved.